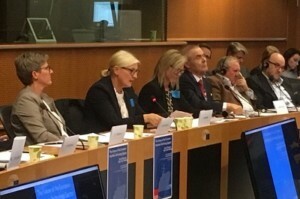 Political representatives from several of the CPMR’s member regions have taken part in key meetings in recent weeks with MEPs and Commissions officials on the importance of developing a new European strategy for maritime industries. 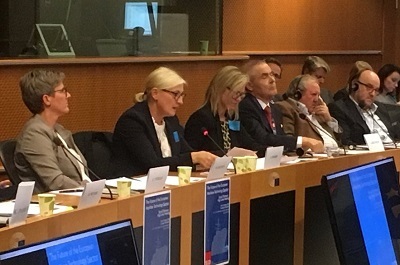 Tiina Perho, regional advisor of the Southwest Finland region and chair of the CPMR’s maritime industrial working group, joined Sea Europe for a discussion with Italian MEP, Sergio Cofferrati, on 08 October. During this meeting, Ms Perho stressed the need for the European Commission to support maritime industries. On 09 November, Sébastien Pilard, regional advisor of the Pays de la Loire region, and Altany Craik, Councillor for Fife Council, in Scotland, led a delegation of partner regions involved in the EU CLIPPER project, for a meeting on maritime industries at the European Parliament. CLIPPER is an interregional cooperation project that aims to develop better public policies to support the competitiveness of Small and Medium Sized Enterprises (SMEs) working in Maritime Industries in Europe. 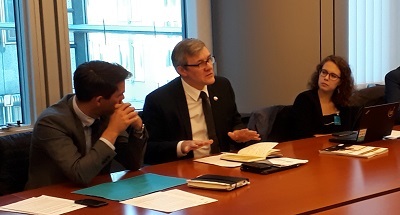 The CLIPPER delegation held a meeting with Italian MEP Brando Benifei, to discuss synergies between the European Parliament, regions and States to call on the EU to offer a new and ambitious strategy to develop and protect maritime industrial employment in Europe. Many MEPs have expressed their support for this objective. The CPMR is currently working with its member regions, under the leadership of SouthWest Finland, to develop a political statement on this issue. A work meeting was held on 08 November with the CLIPPER project’s partner regions and other CPMR member regions.